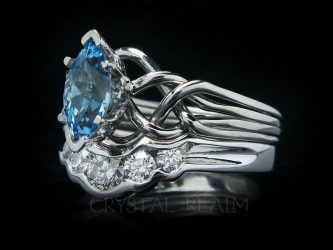 An ethereal Guinevere Royale engagement puzzle ring is heavenly with a center, step-cut blue topaz and side diamonds. 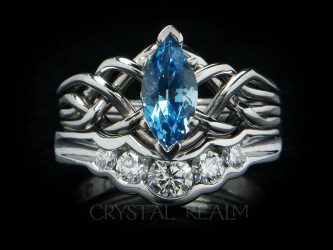 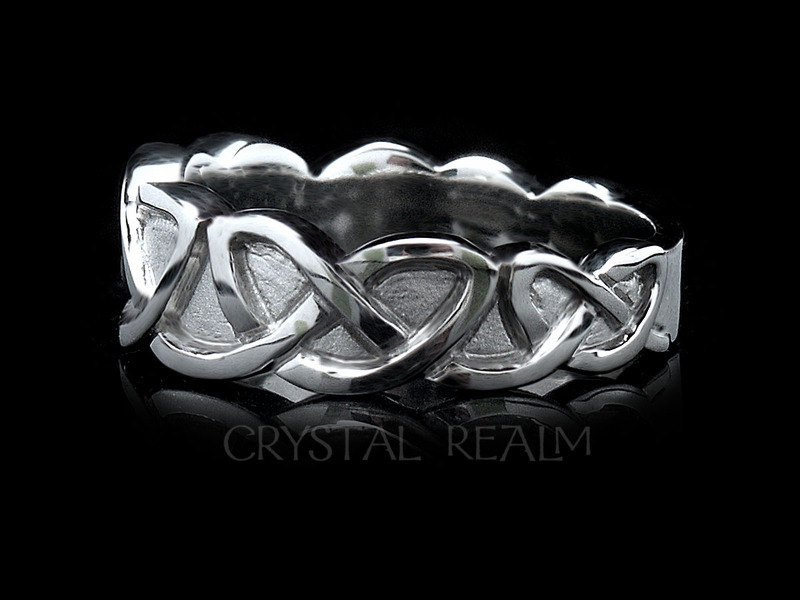 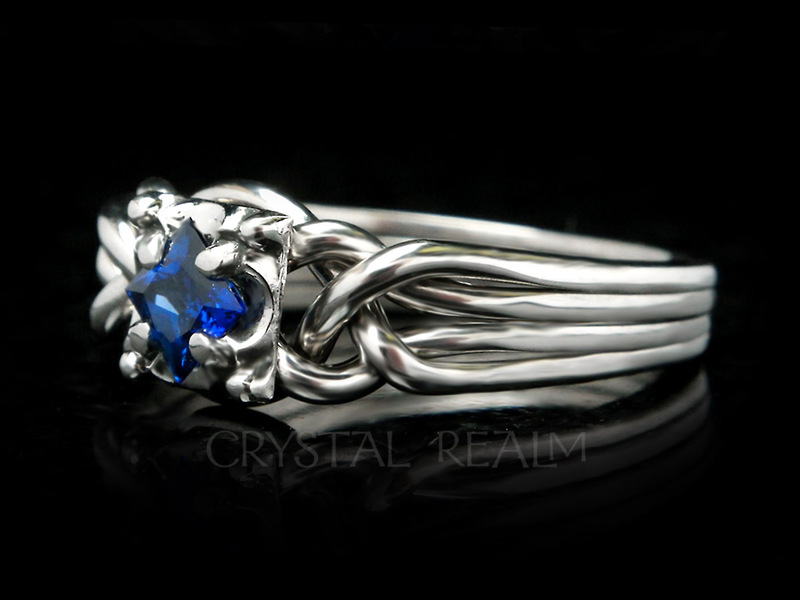 A Celtic knotwork inspired puzzle ring weave suggests the interconnectedness of your lives and love which grow ever deeper over the years of your marriage. 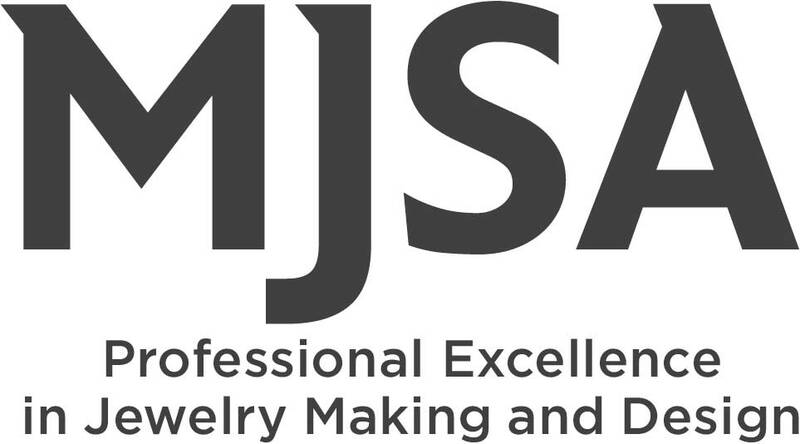 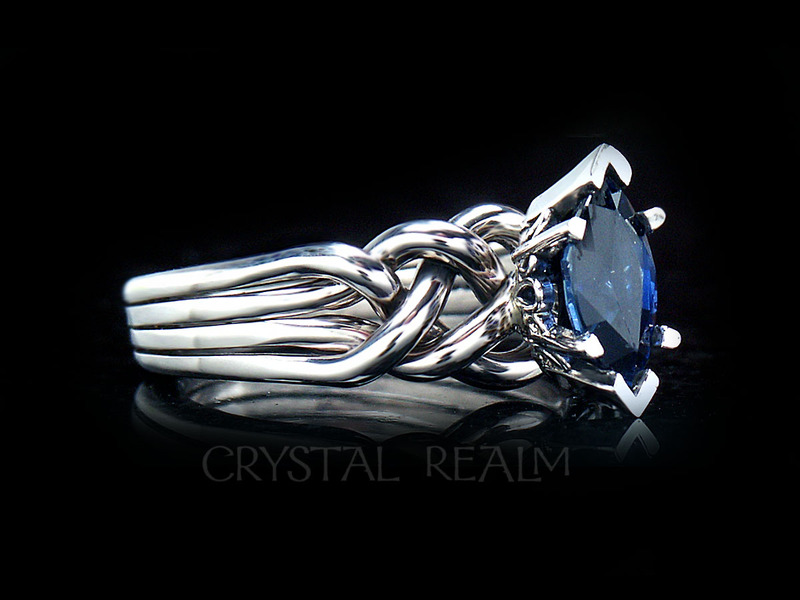 This puzzle ring was hand-woven, in contrast to the majority of puzzle rings which are cast from molds. 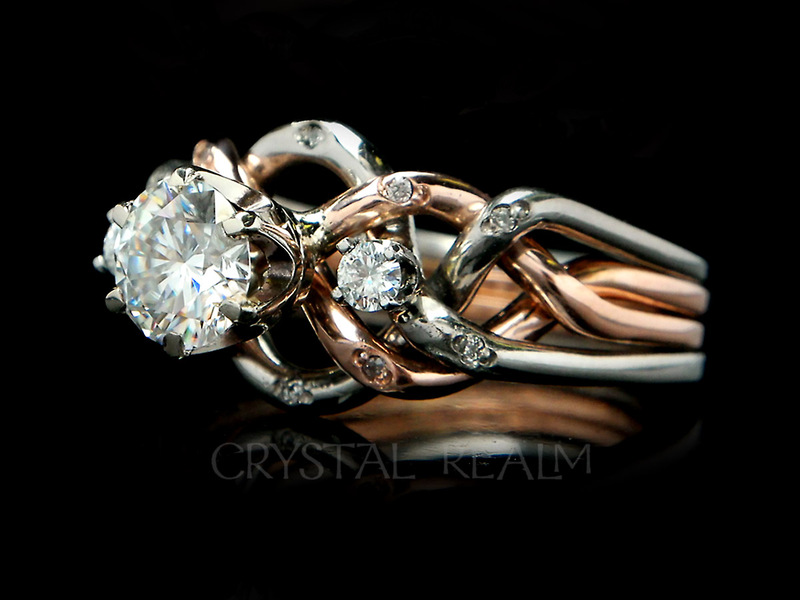 Our brilliant puzzle ring artist custom wove this engagement ring precisely for three diamonds that it bears. 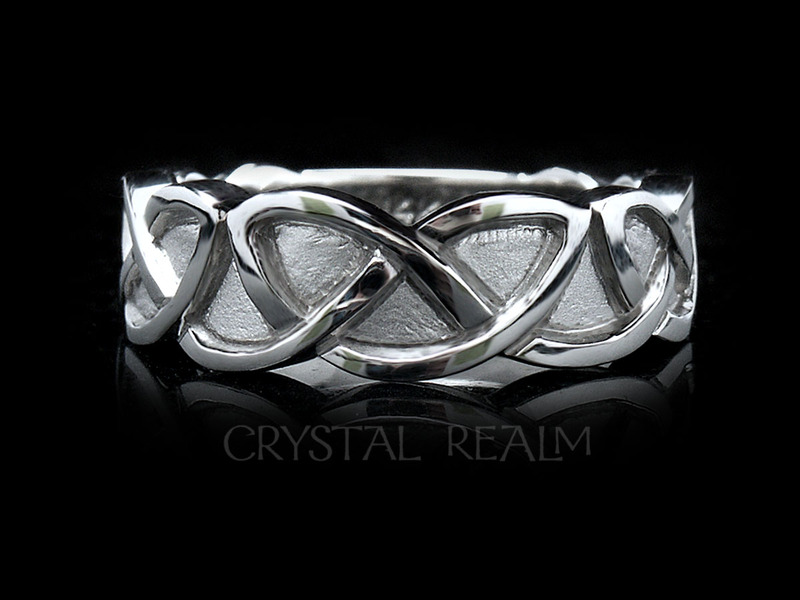 Details: This puzzle ring is made of four 14K white bands. 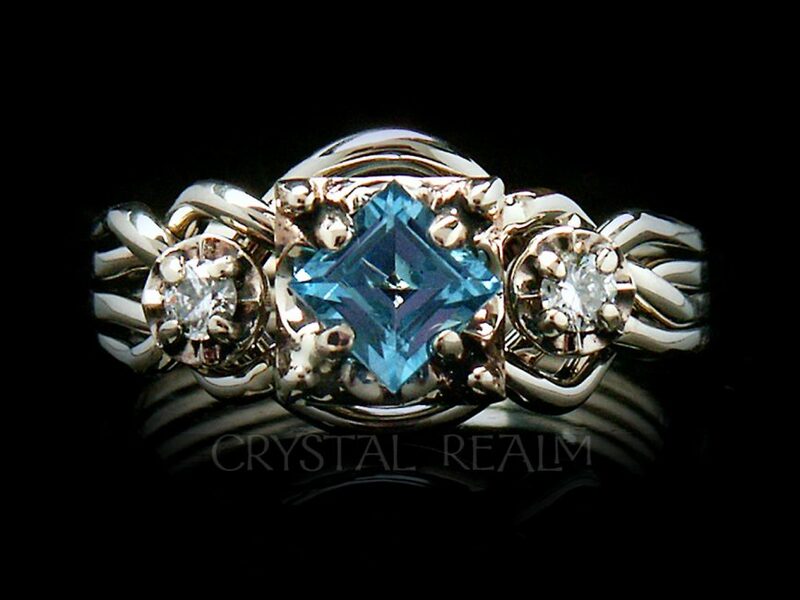 The center stone is a 4.5mm (0.57CT), step-cut, Swiss blue topaz. 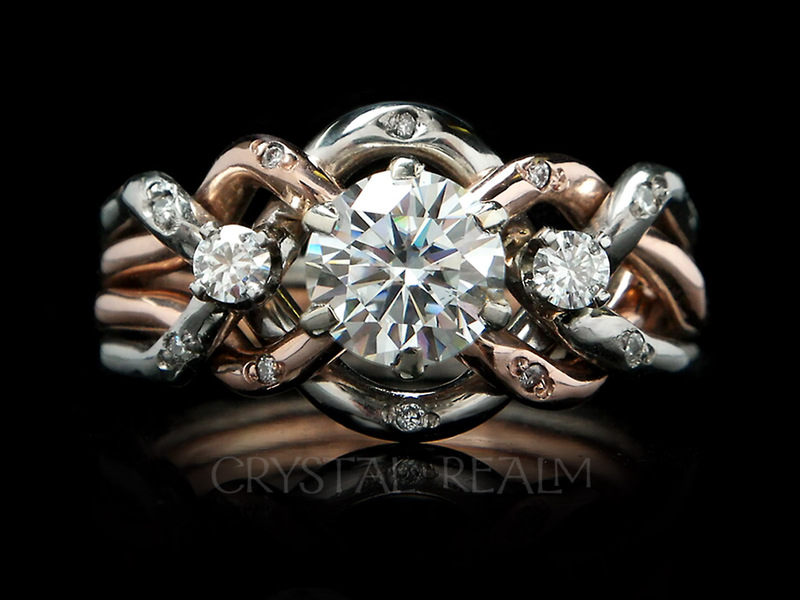 The side diamonds are 0.05CT or 5-points each. 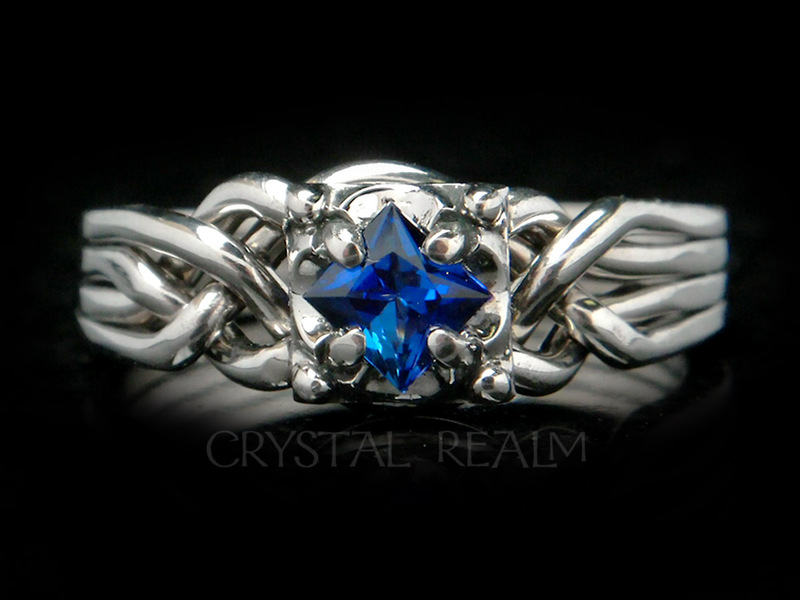 Thus this ring has a total carat weight of 0.67, counting both colored center and diamonds. 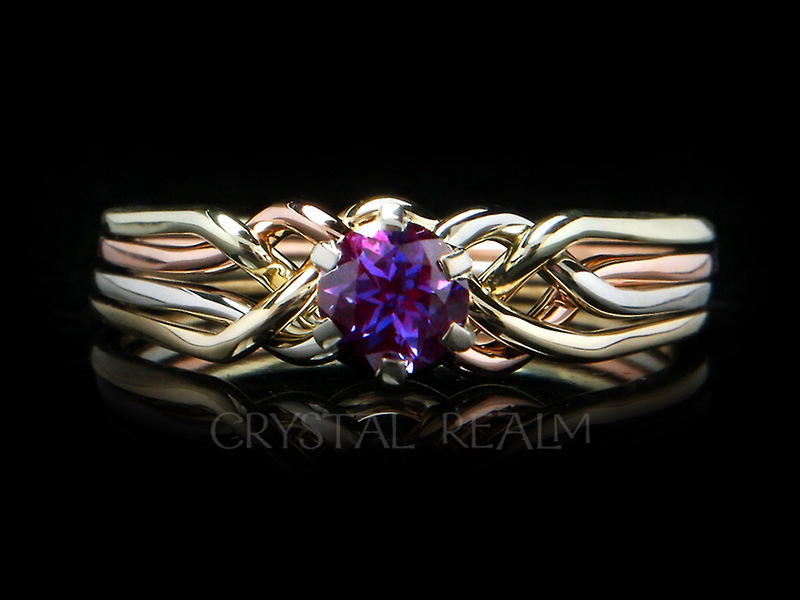 Weave: This puzzle ring has an open weave, most often worn with a shadow band which is custom fit to the shape of the puzzle ring. 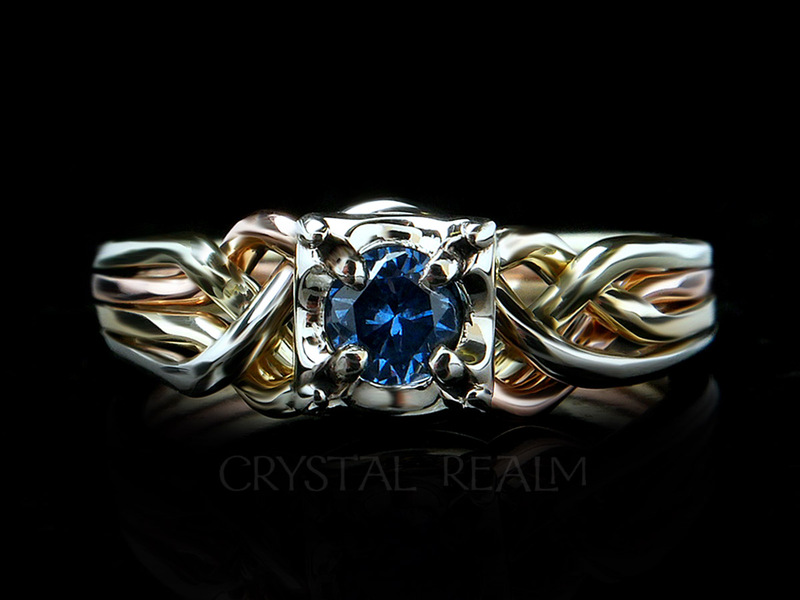 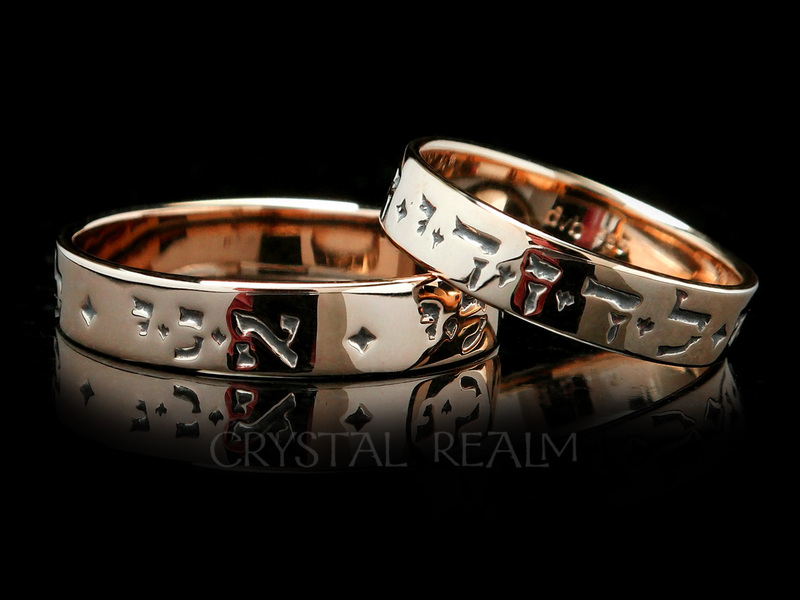 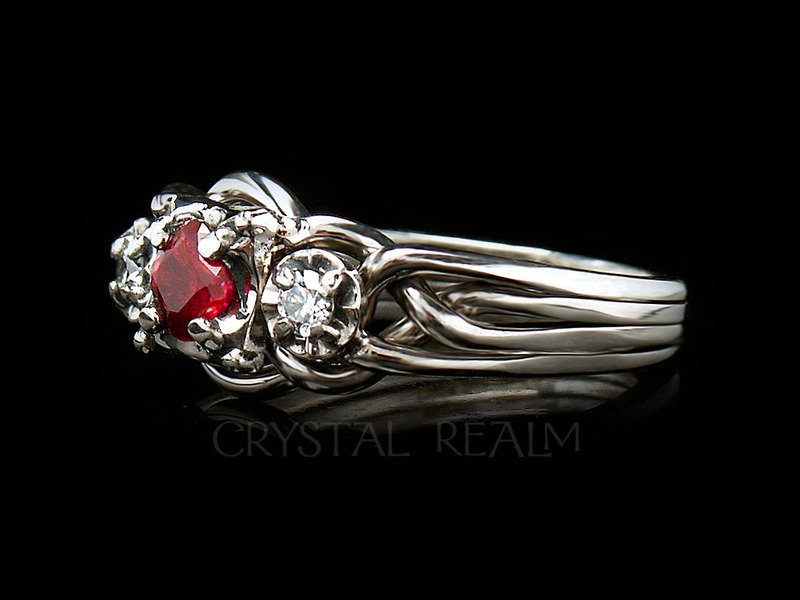 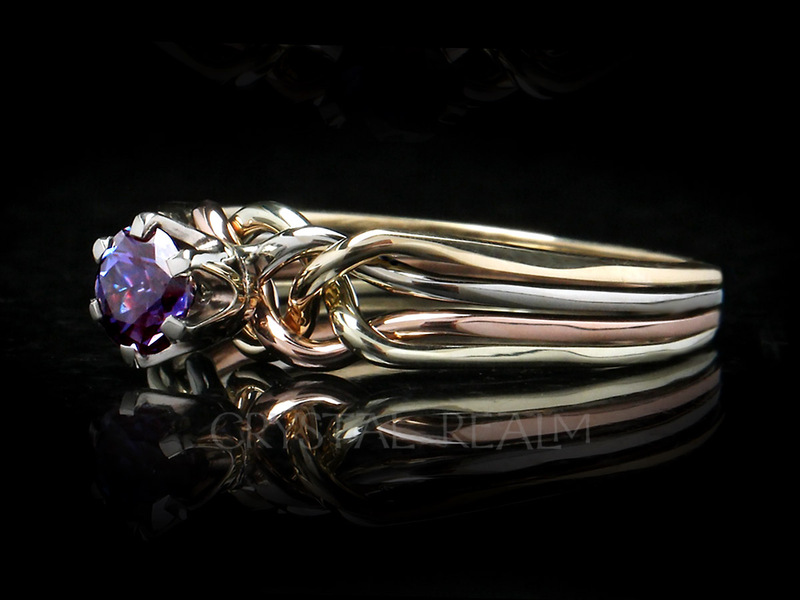 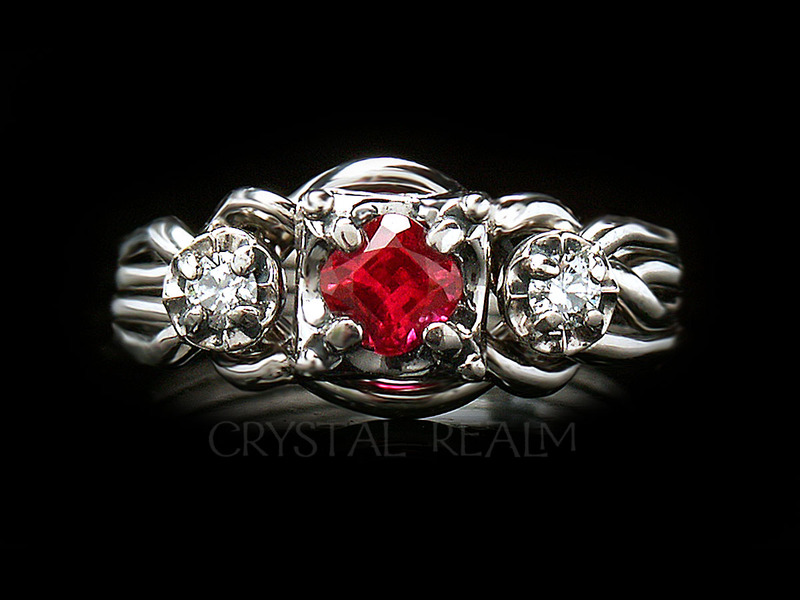 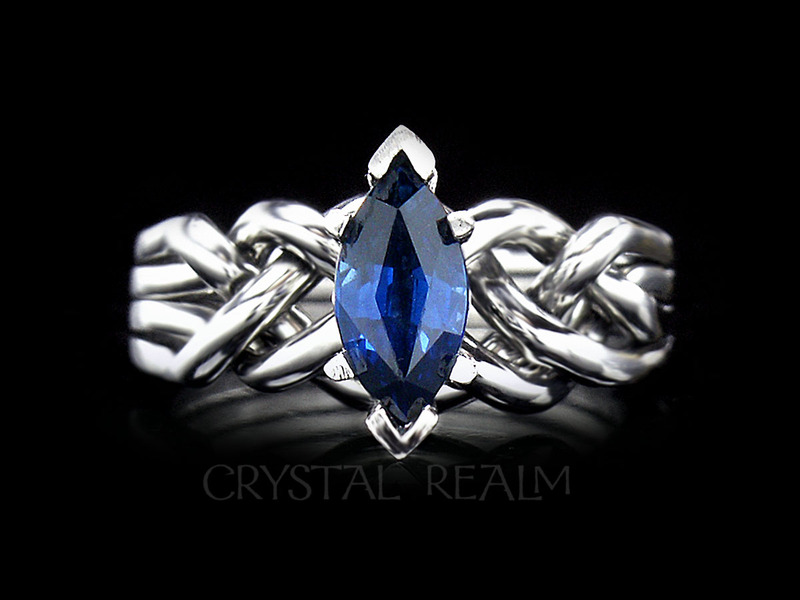 The Guinevere Royale engagement puzzle ring is artisan-crafted in the U.S. exclusively for Crystal Realm.